JUST when everyone seemed inured to shocking details about 1MDB, Wall Street Journal (WSJ) reporters appeared to have come up with more. 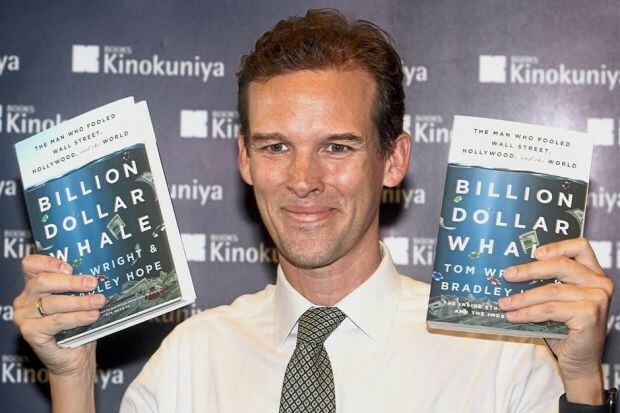 Investigative reporters Tom Wright and Bradley Hope, who covered 1MDB issues before, made additional claims last Monday that would be shocking if proven true. They say that upon the initiative of Malaysian authorities, China offered to bail out 1MDB’s debts or losses in exchange for Malaysia’s support for China’s Belt and Road Initiative (BRI) projects. These projects were further said to have come at inflated costs, were acknowledged as unprofitable, and lacked transparency in their implications. Wright and Hope say their information came from the minutes of “secret meetings” between Malaysian and Chinese officials and the personal testimony of some Malaysian officials past and present. The authors could have been more transparent about their sources and on the content of their revelations, but apparently not. Countries do sometimes engage in such intrigue, but nonetheless it is always easier to allege than to verify. Serious allegations such as these require equally serious substantiation. The gist of the claims had been troubling thoughtful Malaysians, yet few expected it to take such form. Not without reason, doubts linger about the details and accuracy of these claims among all parties. Even when current government officials could have made political capital by weighing in, making the former government’s alleged actions seem nastier, they refrained from it. Formal meetings between government officials of two countries are routinely confidential and therefore “secret”, so there is nothing particularly sinister about their unreported nature. There is also doubt about the minutes of meetings containing compromising information. Some meetings were said to be in China where Malaysian officials visited, yet the hosts freely permitted the visitors to go home with the recorded minutes of potentially explosive discussions. The WSJ’s story has present and former Malaysian officials informing it about a supposedly secretive pact between Malaysia and China, yet senior Malaysian officials both past and present know nothing about it. Both sets of Malaysian officials are genuinely concerned and seriously want to know. Yet it is said that some Malaysian officials already knew, had known for more than half a year since last May, and who preferred to tell all to the WSJ only now rather than to their colleagues or the media earlier. The media at the time also did not know, neither Malaysiakini, Sarawak Report, nor any other that was actively covering the issues, despite a freer news environment after last May’s election that encouraged whistleblowing and exposés. For the kinds of sources said to have been used for the WSJ story – minutes of several meetings, and the testimonies of officials – the substantiation has been rather lean. In its January 7 report of just 1,703 words, only two dates (June 28 and September 22, 2016) have been mentioned for the meetings. Two Chinese officials had been named at the meetings but not any Malaysian. Xiao Yaqing, Chairman of the State-owned Assets Supervision and Administration Commission, is quoted as stressing the importance of one particular meeting but nothing else. Sun Lijun, “head of China’s domestic security force,” is cited as mentioning his agency’s capacity in conducting surveillance on parties inimical to Malaysia’s previous government, but nothing about what Malaysia is supposed to do in return. Each of the two named persons had only part of a story to tell, with nothing to substantiate the larger claims made by the WSJ’s reporters. There is nothing definitive like a “smoking gun” to back those claims. No Malaysian official at any of the meetings has been named or quoted, not even in reported speech. For many observers that seems odd, particularly where deals were supposedly agreed between two sides. Malaysia is also supposed to have agreed to BRI projects only when China offered to bail out 1MDB. That presumption seems somewhat stilted. Later in the story, former Prime Minister Datuk Seri Najib Tun Razak is said in reported speech to have voiced support for “China’s position in the South China Sea during a regional summit in Laos.” Najib’s Government may have been quiet on China’s sweeping maritime territorial claims, it was certainly less vocal than Vietnam or the Philippines on the dispute, but nowhere can it be said that it supported China’s position in the South China Sea. And an Asean summit would have been the last place such a thing could have happened, even if it ever did. The WSJ story also claims that China had offered Malaysia its influence in stopping US investigations into 1MDB and Malaysian leaders at the time. Given the highly competitive China-US relationship, particularly in third countries, what possible “influence” could China really have on the US in stopping investigations into allegedly shady deals involving China? For many observers, the US would have had every incentive to proceed with such investigations, the more so when China appeared to be apprehensive about them. It would be utterly foolish for any Chinese official to think there is such influence, and totally naïve for any Malaysian official to believe it. The same seems to apply to readers of the WSJ story. The story behind the story is that the documents such as the minutes of meetings had been discovered in official files left behind by the previous Government after it had vacated official premises following its election defeat. Again, many would doubt that the ousted officials had taken all possibly incriminating material with them as they left, except for these highly revealing documents. The new Pakatan Harapan leaders had also been slow in taking office, first with the delayed swearing-in ceremony of the new Prime Minister and then in the phased nature of ministerial appointments. Yet despite these delays, it is said that the departing Barisan Nasional leaders still did not retrieve the documents that could be used against them. The WSJ sources rest on the what (documented minutes) and even more on the who (Malaysian officials who provided the minutes, and those who testified to it). All of these officials are persons unknown or unnamed. Anonymity sometimes accords legitimate protection, but not now when it only compromises their credibility. When serious allegations are levelled against one party or another, in this case against both Chinese and former Malaysian officials, some vested political interests of someone somewhere could be served. It has also been implied that other “secret talks” had led to Malaysia’s readiness for Chinese naval vessels to dock in Malaysian ports. But to a non-aligned country, the docking of vessels from friendly nations for supplies and refuelling should not be an issue – certainly not an issue requiring the seal of approval from secret negotiations. Sarawak Report, which initially gave 1MDB information to several newspapers including WSJ, has since complained about some of its methods. The WSJ has done very good work on 1MDB investigations and similar stories before, and it will most certainly do so again. Najib and Jho Low have meanwhile rejected the latest WSJ story as expected, but others also have their doubts. To get to the truth behind hazy intrigues, both clarity and credibility are essential at every stage. That has yet to happen consistently with 1MDB coverage. This article first appeared in The Star on January 13, 2019. Mr. Bunn Nagara was Associate Editor and Foreign Editor of Star Publications, Senior Analyst and Visiting Fellow at ISIS, Research Fellow at ISEAS and ASEAN Fellow at the Japan Institute of International Affairs. He held senior posts at New Straits Times, New Sabah Times and TV3 News, was Editor of New Voice of Asia journal, Contributing Editor of South Review, and analyst at Malaysian Industry, ABC (Australia) Radio and commentator on Asiaweek and Aljazeera. For covering the 1986 People Power Revolution, he received an NUJ citation and a Medal of Honor nominated by Philippine media and church leaders. Bunn has published in Race and Class, The Indonesian Quarterly and Contemporary South-East Asia journals besides the Asian press. He co-authored Agents of Peace: Public Communication and Conflict Resolution in an Asian Setting (Jakarta, 2004), Regional Order in East Asia: ASEAN and Japan Perspectives (Tokyo, 2007), and The Rise of China: Perspectives from Asia and Europe (New Delhi, 2008). He has contributed to undergraduate, civil/public service and journalism courses. He graduated from Southampton University and obtained a Post-Graduate Diploma from Uppsala University. He is a life member of the Malaysian Social Science Association and the Malaysian Association for American Studies, and is an East-West Center Associate. His research interests span ASEAN, East Asian integration and global power relations.